Brand new controversial game Hatred has been revealed and is available for pre-order via the game’s official website http://www.hatredgame.com. Hatred is a shooter video game developed by Destructive Creations released on Microsoft Windows platform. The game is related to shooting game revolving around the life of a sociopath whose life’s motive is to mercilessly kill people without any apparent reason. The player-character is a mass-killing villain who hates humanity and starts deliberate killing of people including innocent civilians and police officers. Earlier in Oct 2014, when its first trailer announced, many video game bloggers characterized trailer as “controversial”. The game was shortly removed by the Valve service Steam Greenlight despite being the 7th most-wanted game on the list due to its violent content. “Based on what we’ve seen on Greenlight we would not publish Hatred on Steam. As such we’ll be taking it down”, explained Valve’s Doug Lombardi .But after personal apology from Gabe Newell, co-founder and managing director Valve Corporation, it was brought back and was authorized on December 29, 2014. The game’s developer released which focuses on the gory aspects of the game and also is more violent and cynical focusing on humanity’s habit of living in homes and owning stuff as a fair justification for mass killing as sacrificial victim. The video is around 90 seconds long and in video before the very, very angry main character begins his murder spree, he declares, “My genocide crusade begins here”. However, the game has been granted an AO rating by the ESRB and is slated for a Q2 2015 release. 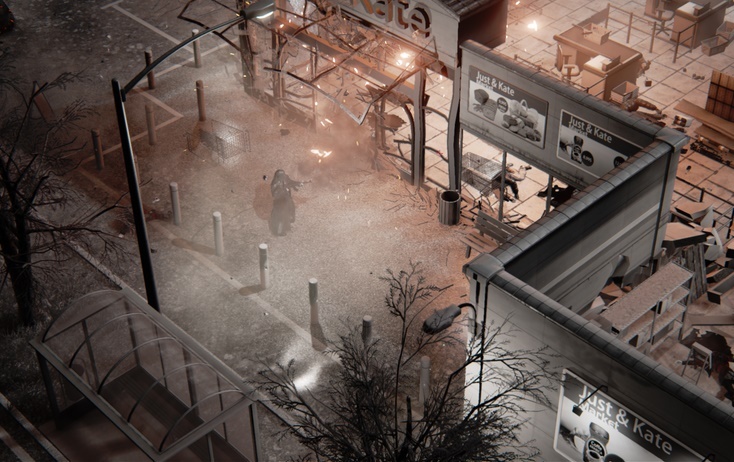 “Hatred” was the third game hit with an adults-only rating for violence. In most violent games, Murder is the means and not the objective. Now the only question that comes in my mind is, Is Hatred the most sickening computer game ever?? Only time will tell. The second option is limited to 1,485 units only. I don’t get what the fuss is about – almost all of these things can be done in any GTA game, not to mention others. Just because the story is that the title character is a murderer is apparently the problem, not what you can do in the game itself, both this and others alike. Agh this is just a publicity stunt as always, the marketing team deserves a big raise!